Not all paint is the same. The paint you use in your living room, isn’t the same type of paint you would use in a warehouse. And the paint in a warehouse is very different from the paint in a factory. Obviously, the type of factory is a big aspect, but if you’re manufacturing products that need to stay sterile, then you need a special type of paint. In the food production industry, there are certain standards that need to be adhered to, both by New Zealand standards and by international standards. Volatile Organic Compounds (VOC) for example, are solvents that can be released into the air as the paint dries. They are not specifically found in paint, VOC’s can also be found in adhesives, cleaning supplies and even some home furnishings. They can cause acute symptoms such as headaches and dizziness and long term effects may even be as serious as cancer. With effects as severe as these, obviously factory workers and products can’t be subjected to VOC’s, and that’s where we come in. The paints and coatings used by our team, conform to international requirements for VOC’s, and our range includes water-based epoxies which are approved by the American Green Seal Organisation. Our arsenal against contamination, also includes a range of anti-microbial coatings. These have special properties that actually physical destroy pathogens, instead of chemically poisoning them. This may not seem like a big difference, but this method prevents any spreading of toxic chemicals into the above coatings. Of course, it doesn’t matter what type of special paint you use, if you don’t clean before you apply it. Non-VOC paint won’t count for much if the wall you apply it to is dirty. Any special coating system must have a full and comprehensive long-term plan. The first stage of that plan is cleaning. 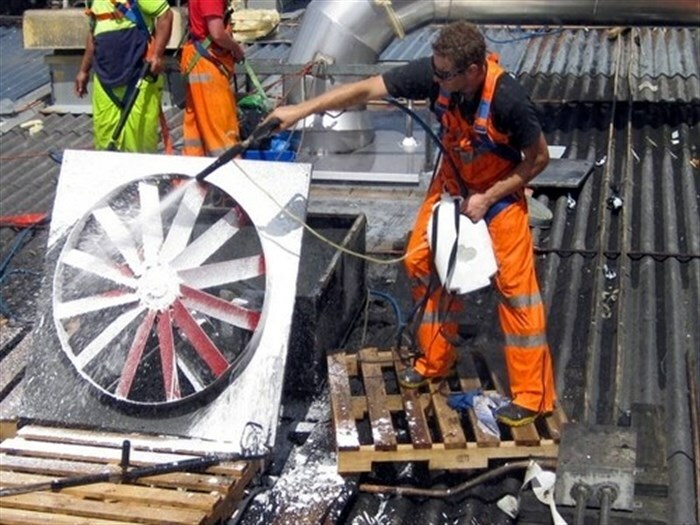 Unique Services also offer a comprehensive and intense surface cleaning and building preparation. 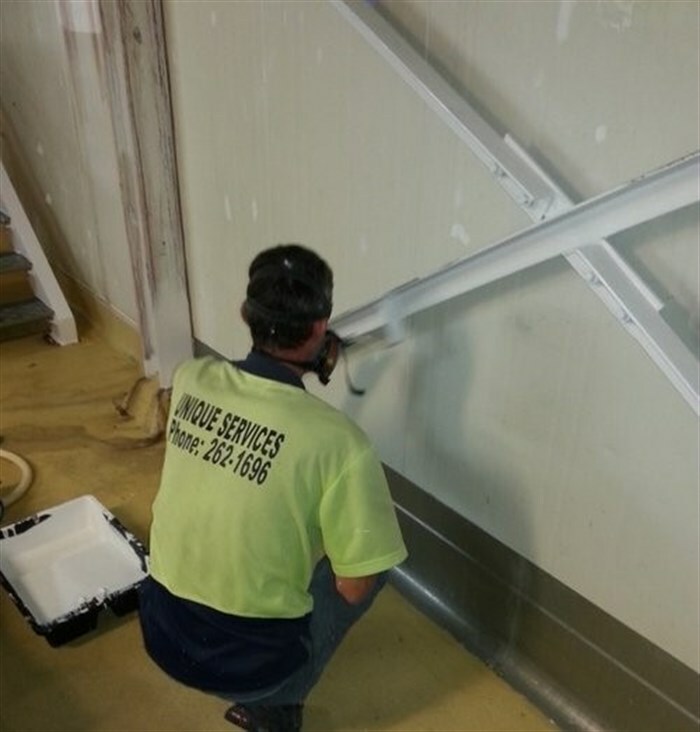 Our painting division can clean almost anything, from critical hygiene to industrial grime. 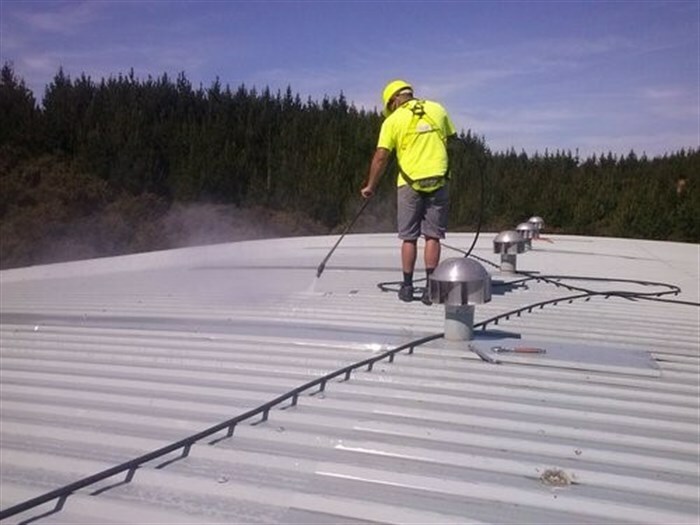 With years of experience, we can clean buildings, plants and equipment. Those hard to reach places are especially important to clean, critically within the food industry. Ceiling cavities, ledges, ventilation shafts, drains, air conditioning units… nowhere goes unchecked by our experts. By strictly following paint manufacturers’ surface preparation instructions, we ensure the best possible result. Where necessary, we also use sand-blasting and chemical cleaning to ensure the least possible chance of product contamination. If you’re unsure as to the standard of your premises when it comes to hygiene, then call us. We offer free site inspections, and work closely with our clients and their auditors, to help keep sites safe from potential hygiene hazards. If there are any problems which either prevent your site from complying with Food Safety and Hygiene Compliance and Audit Requirements, or will cause problems in the future, we can deal with them swiftly and efficiently. Not only do we check, prepare and clean sites, we also have a Rapid Response Team in case of emergencies. Our highly trained and experienced experts will respond at a moment’s notice, and we are available 24/7. We react fast, and we work fast. We know time is money, and every minute your production is down, it’s costing your company. That’s why we are committed to keeping any downtime to a minimum. All our equipment is cleaned, sanitised and mechanically checked after each use to ensure no contamination. If you have any questions of queries about preventing product contamination, checking your premises, or any of our services, please don’t hesitate to call us today. Our friendly and professional staff will be happy to answer any questions you may have.